Had the man who stole Michelle Erickson's pickup truck consumed a bowl of cereal in it? Or was the discarded spoon for cooking drugs? Last September, the 44-year-old environmental specialist's pickup truck was stolen out of a parking lot in Anchorage's Russian Jack neighborhood. It wasn't gone long. Police say the man who took it had passed out inside holding a gun. When he awoke he tried to ram police cars that had surrounded him. By noon the next day, police called Erickson to retrieve her truck, which was now a crime scene. Getting the truck back was only the beginning of her troubles. The interior, she found, was "just trashed." Some of it came from the thief's run-in with police: Cops had smashed the windows to get inside. Oily residue from pepper spray coated the dashboard. But the interior told also a strange, dark story about the truck's whereabouts while missing. Erickson found items in her truck she'd never seen before: The spoon, with telltale burn marks on it. The plot thickened: She found a box of Cap'n Crunch cereal. Shoes she'd never seen before. Tires. A bag full of keys from a car dealership. What had the thief been doing in her truck those hours when it was missing? "He must have been on some serious tweaking drugs," said Erickson, a lifelong Anchorage resident. Nine months later says she's still dealing with the fallout of having her truck stolen and trashed. She is far from alone. Picking through the debris of a freshly stolen car and puzzling over its whereabouts — was it used for shoplifting getaways? Mobile house parties? — has become a rite of passage for many modern Anchorage residents. Last year, Anchorage broke its record for vehicle thefts. New data from the Anchorage Police Department show cars are still being stolen at a breakneck pace this year. In January alone, 398 car thefts were reported to Anchorage police. 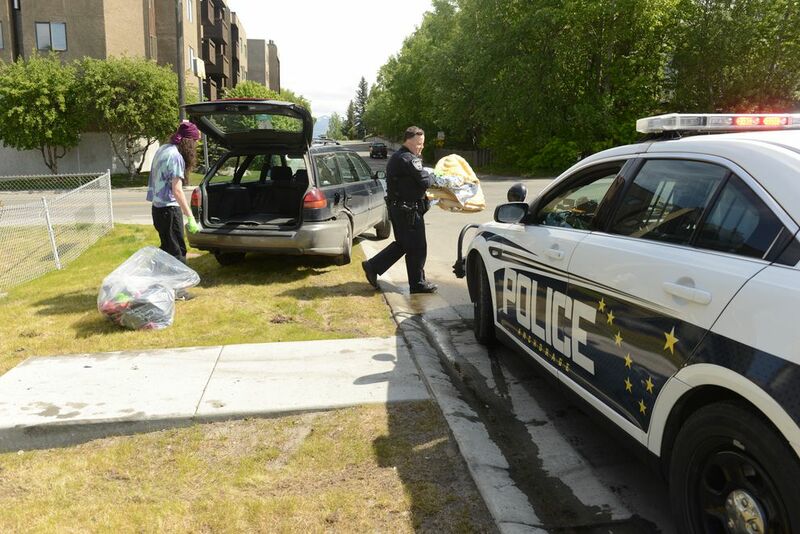 By the end of May, a total of 1,711 vehicles had been reported stolen to Anchorage police. That's 462 more vehicle thefts than the same time last year. Almost all of them make their way back to the owner. Police say 94 percent of vehicles stolen in Anchorage in 2017 were recovered. But "recovered" can mean many different things. Some found vehicles are husks, stripped of parts. More often, they come back drivable but containing drug paraphernalia, trash, discarded food and stolen goods. As thousands of people in Alaska's biggest city have now learned, the messes left behind in stolen cars offer disturbing, revealing and bizarre clues as to what happened inside the car while it was missing. 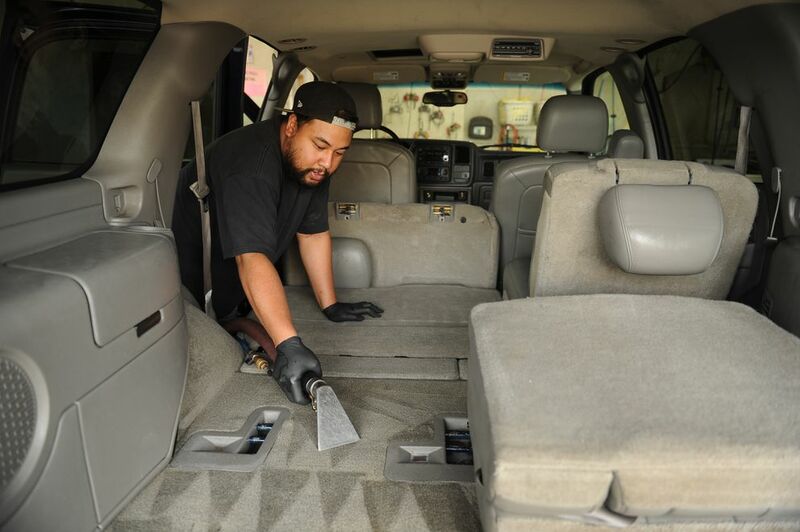 The experience has become so common that auto detailers say work cleaning and repairing trashed recovered stolen cars has become a mainstay of businesses. A Mountain View environmental testing company now routinely tests recovered stolen vehicles for methamphetamine smoke contamination. 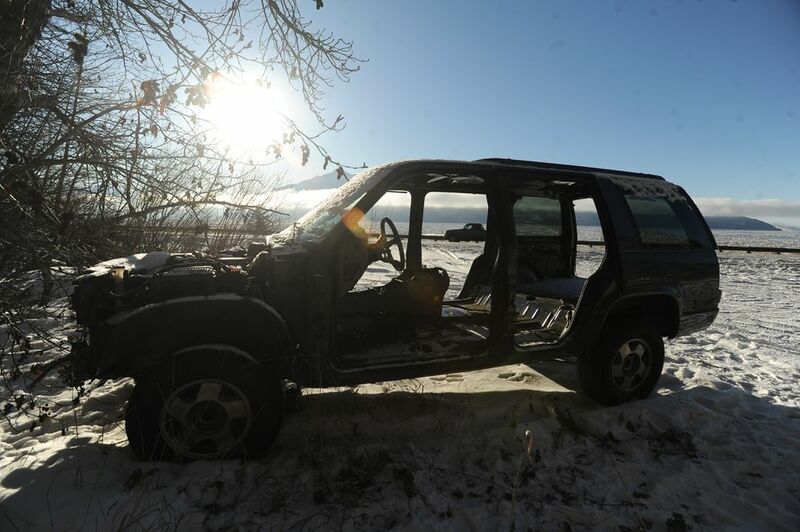 When the Anchorage Daily News asked readers to share their experiences with returned but trashed vehicles more than two dozen responded. Many of them said the worst part of the whole experience was not the mess — but a lingering feeling of unease long after the car has been cleaned or declared totaled. "The tendency is to say, 'Oh its just property, it's replaceable.' If you're insured it's not that big of a deal," said Troy Payne, an associate professor at the University of Alaska's Justice Center. "It's actually really traumatic to have that sort of violation." People steal cars for three major reasons, according to Anchorage Police Department spokeswoman Renee Oistad. One: The thief or thieves need transportation — a phenomenon some refer to as "bad-guy Uber." Two: The person is going to use the stolen vehicle to commit another crime, such as a robbery. Three: As a place to use drugs. Sometimes all three. Nationally, the underlying motivation for vehicle thefts has not been well-studied, said Frank Scafidi, director of public affairs with the National Insurance Crime Bureau. The condition of stolen recovered vehicles says a lot, he said. "Where you find and how you find a stolen vehicle and the shape its in when it's found tells you more about why an auto theft occurred in the first place — or why they are happening in a certain area — than anything else," Scafidi said. Floyd Hall is an Anchorage man who manages a stolen vehicle recovery Facebook page and spends many of his waking hours personally tracking down stolen vehicles. The vehicles are abandoned in predictable places: On the margins of big box store parking lots, in industrial areas, parks, church parking lots. They have been gone for hours, days or sometimes weeks, Hall said. Most of the cars he finds are in a drive-able condition. "They've driven them hard," he said. "They take the term 'drive it like you stole it' seriously." But the inside is usually a different story. 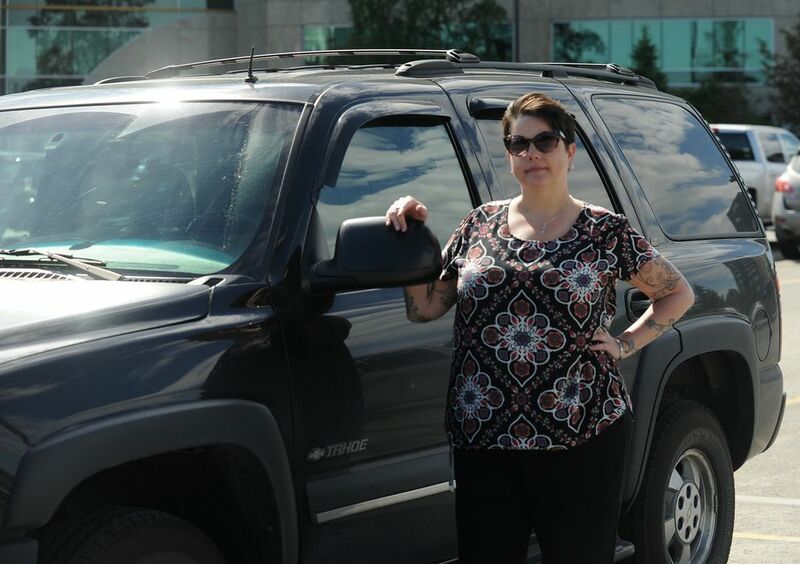 Sarah Pederson, a concert promoter and co-owner of Chilkoot Charlie's, had her Chevy Tahoe stolen twice in six months. The first time, she found the Tahoe dumped just hours later in the Fairview area. Scissors had been jammed into the ignition. Inside, she discovered an empty Playstation 4 box, shoes and other people's mail. 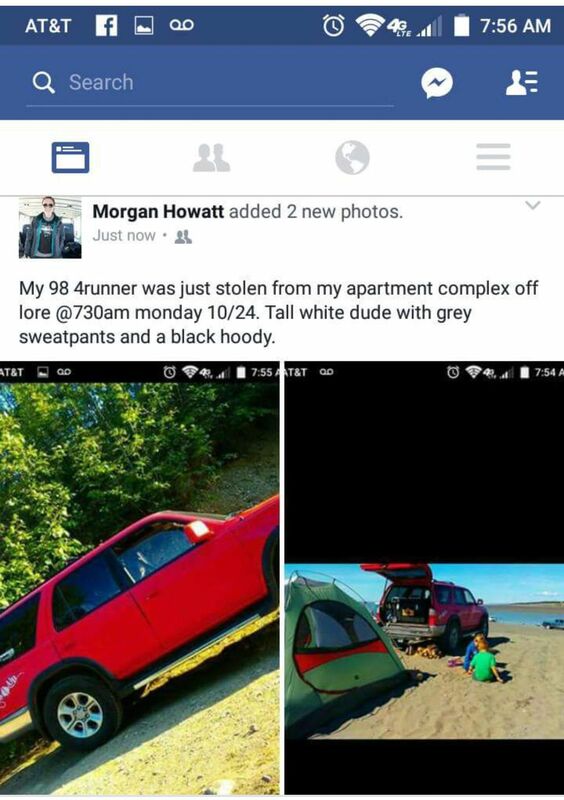 The second time the Chevy disappeared from the 'Koot's parking lot in Spenard. This time, the Tahoe was gone for days. She found it dumped outside a tattoo shop. "It smelled like motor oil," Pederson said. "There were car parts inside — the whole back was filled with old junk, like electronics. I don't know if they were robbing places or what." The dashboard was covered in an unidentified, sticky substance. There were syringe caps. Pederson, exhausted and grossed-out by the prospect of confronting the mess inside, had her car towed home. She ended up taking it to a professional detailer four days later. "I couldn't deal with it. I already feel violated. I'm not going to touch anyone's stuff." Auto detailers and mechanics report a wave of customers seeking to have their stolen cars cleaned by professionals. 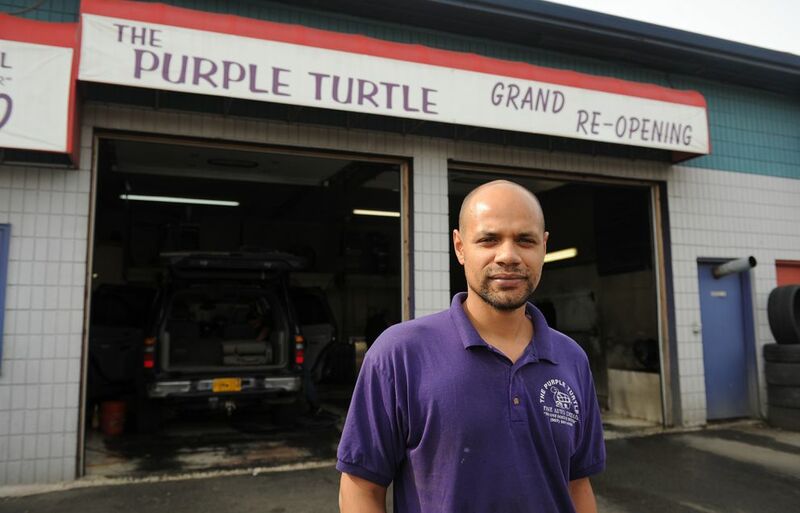 Daniel Duke, a manager at Purple Turtle Fine Auto Detailing on Arctic Boulevard, says the number of customers seeking what he calls a "stolen recovery" cleaning and detailing has skyrocketed in the past two years. They come in more than once a week. "We had one day where it was just back to back to back, stolen recovery vehicles," he said. "People just want to get that funk out of there." Duke advises his employees to don protective gloves and take extra care reaching into unseen areas. Increasingly, people take it a step further and get their stolen vehicles tested for methamphetamine residue, said Brett O'Bray, a senior project manager with ATC Group Services in Anchorage. O'Bray started getting requests to test for meth in cars about five or six years ago. People usually bring their cars in because they have reason to believe meth may have been smoked in the car. 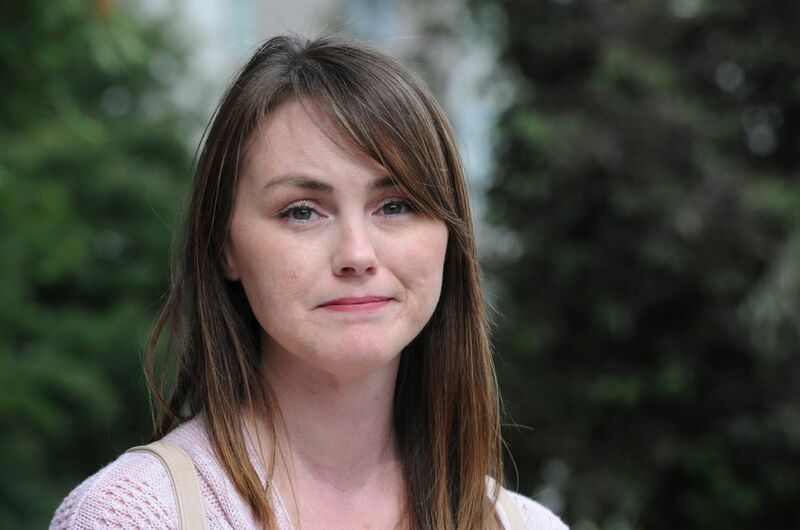 "People are really concerned with the fact that hey my insurance company says it's all clean but they've been in the vehicle and are suffering rashy skin, migraine headaches." So far, each of the owners' suspicions have been founded, he said. "Every one I've tested so far has come back positive," he said. Some have barely detectable levels. Others are much worse. One stolen truck he tested had been returned to the owner with a "bag of needles in it," he said. 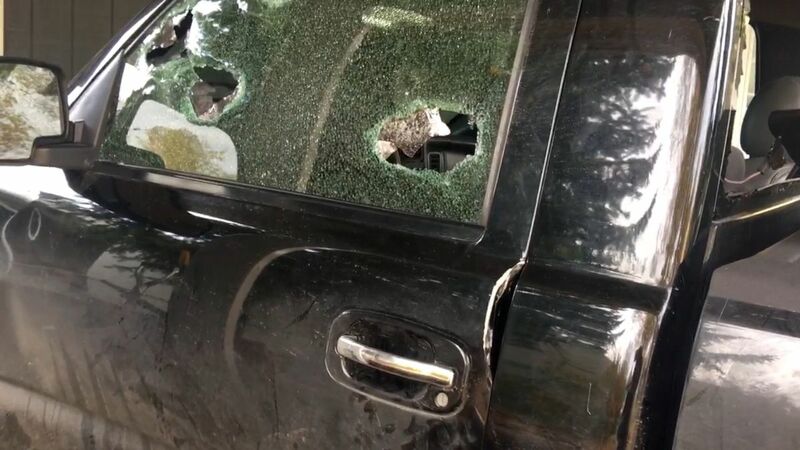 The thieves had gotten into the electronics in the dash and actually a wired cooking device out of the internal workings of the vehicle," O'Bray said. "The levels within this truck were 30 to 300 times the recommended regulatory limit in areas where we sampled. This was after they had it detailed." Some vehicle owners report their cars returned with stolen goods inside. Mike O'Brien, stationed in his hometown of Anchorage with the U.S. Air Force, had his truck stolen from his driveway this spring. When he got it back he found a bag of "some family's holiday decor" and military gear bags that weren't his inside of it, along with the de rigueur empty drug baggies on the floor and a tattoo needle. It smelled like cigarettes and marijuana. "I was born and raised here. I've been gone for six years. I was just stationed back here in February. And in less than three months my truck gets stolen out of my driveway," he said. "Yeah, it makes me feel differently about Anchorage." Morgan Howatt watched as her 1998 Toyota 4Runner was stolen a few winters ago from her Lake Otis Parkway apartment complex parking lot. She'd been warming it up on a cold morning and stepped out to grab something from her nearby apartment. She watched a man jumped in and sped away. Howatt chased him, yelling "it's all I have!" The single mom of two young children works in human resources at Home Depot and takes college classes at night. Life without her truck was unmanageable, she said. Four days later, she got a call. Police had found her car abandoned in Spenard. The interior had been stripped down to the floor mats. Her son's car seat was gone. So were cases of Gatorade for peewee football practice. Instead, a "bunch of women's clothes that weren't mine. Crack pipes. Tin foil wrappers everywhere," Howatt said. She dug through mountains of fast food wrappers. Howatt was worried that the thieves had smoked drugs inside the car. Her children have asthma, so she paid to have the air systems flushed. Even when the truck was driveable again, a new sense of vulnerability stuck with Howatt. She never got the original set of keys back. What if the thief came back? And then there was the question of what happened inside the truck. "It looked like someone had been sleeping in there, on top of the trash and paraphernalia," she said. "That was the worst for me." Property crime isn't always taken as seriously or studied the way violent crime is, said Payne, the UAA criminal justice professor. But maybe it should be, he said. "It's a very personal thing, a car," Payne said. "To have it stolen and trashed and then returned to you — you don't really know what happened, exactly, to it. That's almost worse than it just being gone." Next: The story of an Anchorage auto theft as told by both the victim and by the thief.